Kendra Thornton, travel advocate and TV personality, has reached out to me with a great idea of combining both her and my thoughts on staying healthy while traveling. Health and fitness is something that I think about every single day, so I was more than happy to collaborate. We’ve come up with a great list on staying healthy while traveling, take a look! 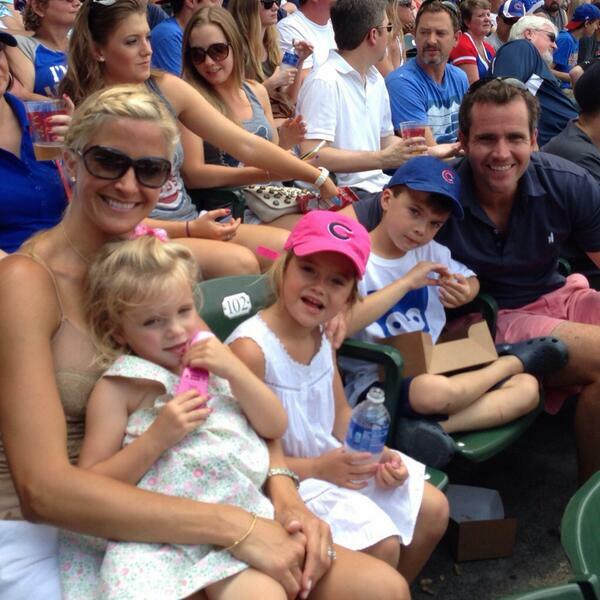 Kendra and her family at a Cubs game! Whether I’m on the road or spending time at home with my family, I try to make an effort to stay in shape. I have family coming to visit in Chicago next month, and I plan to pass on some of my tips to them so that they can stay fit and healthy too. I have found that the Internet is a great source in finding activities close to a hotel or close to my house. There is information about parks that have trails I can jog on as well as routes that take me along the city streets. When I find something I like close by, I make it a point to get up early in the morning to go for a run so that I don’t disrupt the rest of the events of the day. The fresh air is good for the body, and I can spend time alone in my thoughts. Most of the places that I have been to for a vacation have some kind of activity within a short distance, which is great! Whether this is a miniature golf course or paddleboats, if I look hard enough, I can find something for my family that is fun while still giving the exercise we need. Staying at a lake is perhaps the best because we can go swimming or play a rousing game of volleyball in the water. If we go to the beach, we like to throw a Frisbee. Visiting the tourist sites in the town we vacation in is a way that we not only spend time together but burn calories. We normally walk to sites that are near the hotel so that we can get plenty of exercise before we eat a delicious meal. If there is a mall or shopping center near the hotel, we usually walk there as well, especially if it is cool in the evening. We try to walk at least 30 minutes during the day. When we go on vacation, we try to catch up on sleep as a family. After we enjoy a nice breakfast, we spend time in the room watching television or playing games so that we are rested before we start the activities of the day. Sleeping is something that we don’t get a lot of at home because of sports and work. Our vacation is a way for us to relax before getting back to the daily events in life. When we are at home, my family likes staying involved in sports. On our vacations, we like packing healthy snacks for the car as well as when we go out in the town. I love being outside, so I try to get my family outside as much as possible. These are tips that I give my family as well as extended family so that we stay as healthy as possible. Staying in a hotel with a great gym can be another great way to maintain your routine from home. Many of the hotels in downtown Chicago not only have great gyms, but also are close to all the sites! Staying active and healthy are two very important factors in life. Here are more ideas on staying healthy from the Every Girl perspective! One way is by watching what you put into your body. I believe that you must work from the inside out in order to become the healthiest you can be. 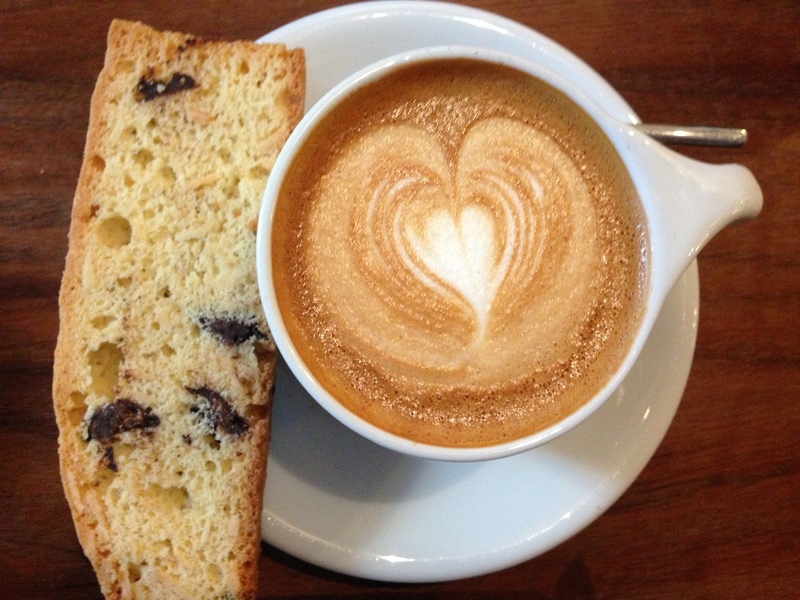 Foods are a good start and are vital, but you can’t forget about liquids. It’s true what they say; you are what you eat and I don’t know about you but I’d rather feel and look good than drink a soda. Throughout Chicago you’ll find an array of restaurants with some of the tastiest meals including extremely health conscious drinks. If it looks gross, it’s probably delicious and the best thing for you. Water, water, water and I can’t say it enough! I never use to drink enough water and always found myself getting charley horses in my feet, having dry, flakey skin and overall not feeling up to par. It’s amazing what difference it makes adding water into your daily routine. Not only does it make you feel good, but also look good and who doesn’t want that? Staying active and playing sports can help with your physical appearance. Whenever I can, I try to encourage people to come hiking with me in the mountains of Taiwan. When I was in Chicago, I would take strolls through the city and workout at the local gym. I loved living in Gold Coast because it was really close to the beach which meant lots of sand volleyball, swimming and yoga on the beach. I love being outdoors so that was my kind of paradise. 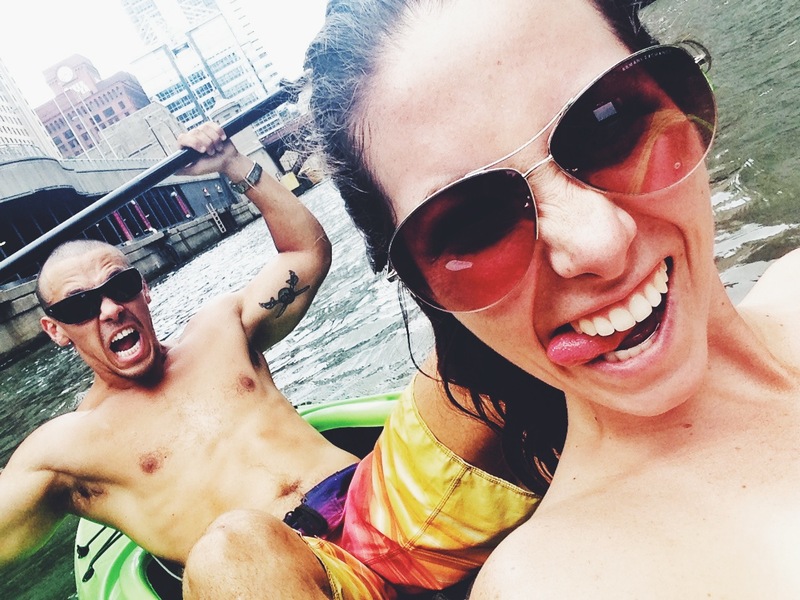 Kayaking through the city is probably the most fun way to stay active. I love the outdoors, but also love the city so Urban Kayaks was the perfect mix. You can find deals for 2 hour rentals on Groupon and see the city from a whole new view. My recommendation for kayaking would be to get the tandem kayak. You’ll go farther, faster and won’t have to put as much effort in. It’s a perfect way to get active with the family or friends. If you looking for a lower body workout you could always rent bikes and bike along Lake Shore Drive. The views of the city are stunning and you can stop and relax at the parks and beaches that are located in almost every neighborhood along the lake. It’s another one of my favorite things to do to stay active and enjoy the city’s beauty. These are a few tips that I give people who are visiting or living in Chicago. The city is beautiful and provides many alternatives for play and dining.